We hear many people talking about the processing power of a computer system. This processing power or capacity is measured in bits. The processing capacity of a computer system tells us how many bits of data a computer system is capable to manipulate and process at a given time. That is why it gets very important to know whether your processor is 32 bit or 64 bit. Moreover, there are certain applications and software that are designed solely to be used by a computer system having a specific processing capacity. For example, if an application is designed for a 64-bit processor then it is impossible to run the same application on a 32-bit processor. 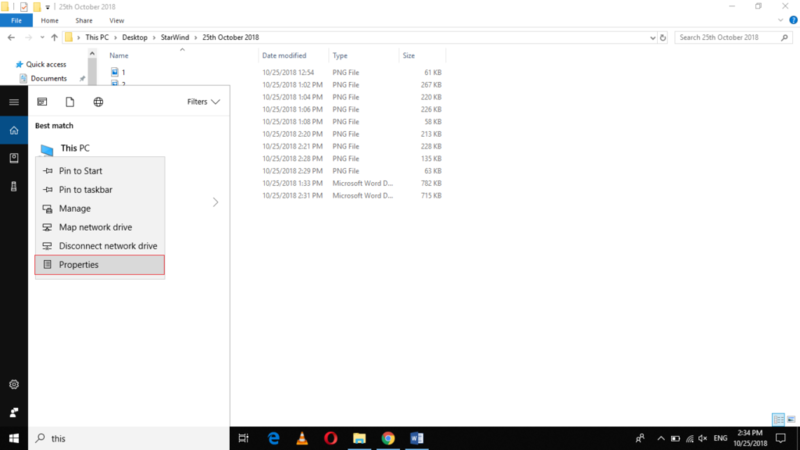 So having this knowledge, you will also be able to know whether your computer system is capable of running a certain application or not. 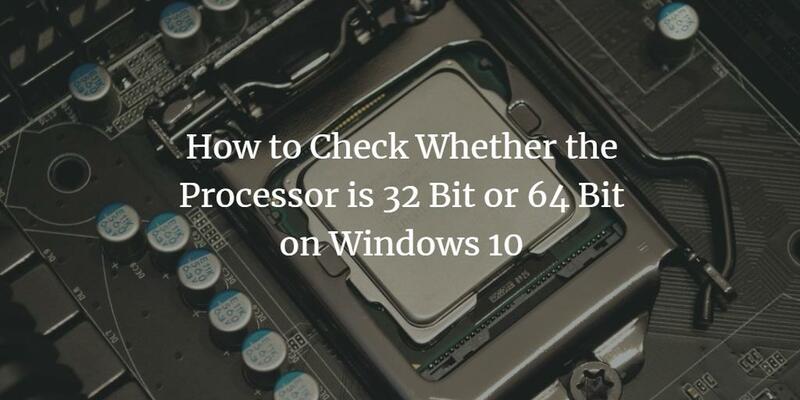 In this article, we will explain to you the methods through which you can check whether your processor is 32 bit or 64 bit using Windows 10. Now click on the “About” tab. 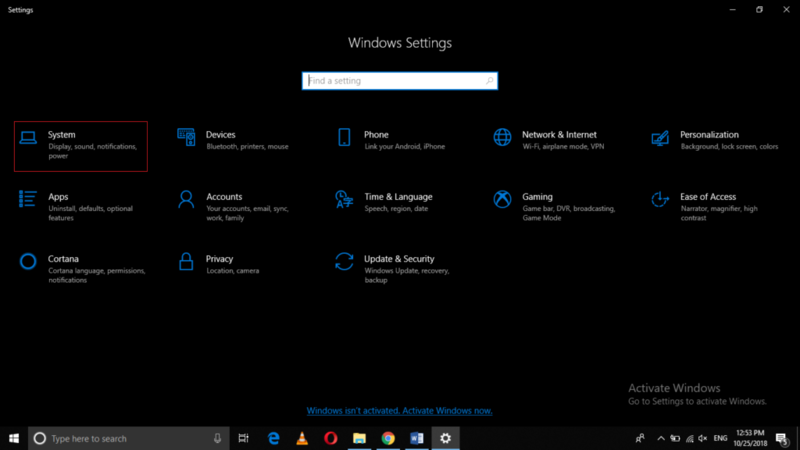 As soon as you will click on it, all the relevant information about your computer system will appear on the screen such as device name, device ID, installed RAM etc. 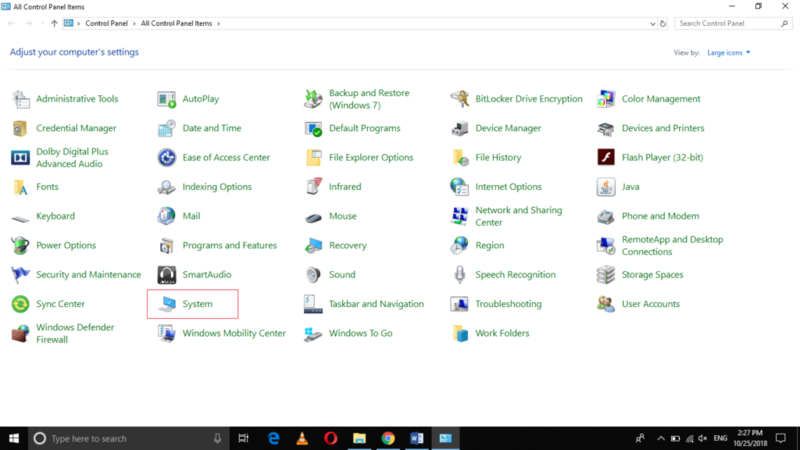 Try to locate the field of System Type as highlighted in the image shown below. 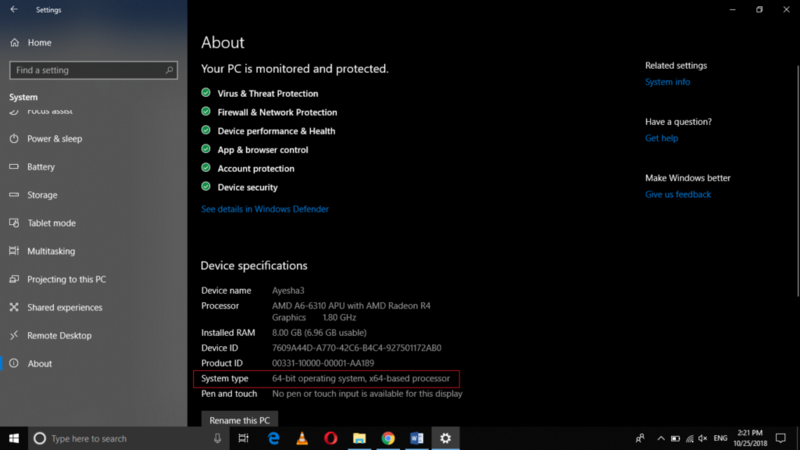 The System Type will tell you whether your processor is 32 bit or 64 bit. Locate the field of System Type as highlighted in the image shown below. 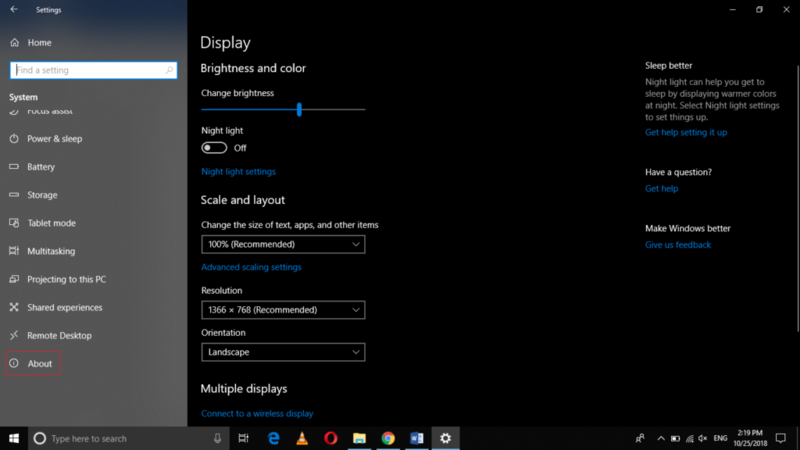 This will tell you whether your processor is 32 bit or 64 bit. Locate the System Type field as highlighted in the image shown above. This field will tell you whether your processor is 32 bit or 64 bit. 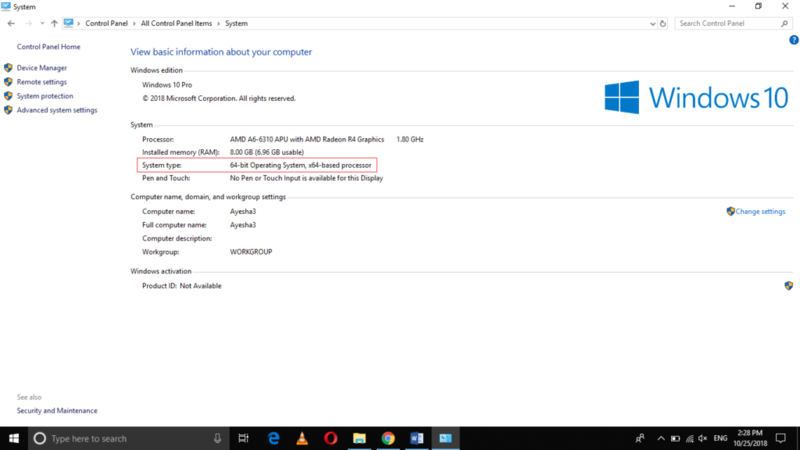 By following any of the three methods discussed in this article, you can easily find out whether you are running a 32-bit or a 64-bit processor using Windows 10. By knowing this fact, you can easily understand whether your processor supports a certain application or not. All of these methods are very simple and convenient to use so it entirely depends upon your choice that which one you want to use.